Mayor Dwight C. Jones was joined by Richmond Police Chief Alfred Durham in reporting to the community on crime in the city and public-safety efforts by the Richmond Police Department during 2015. 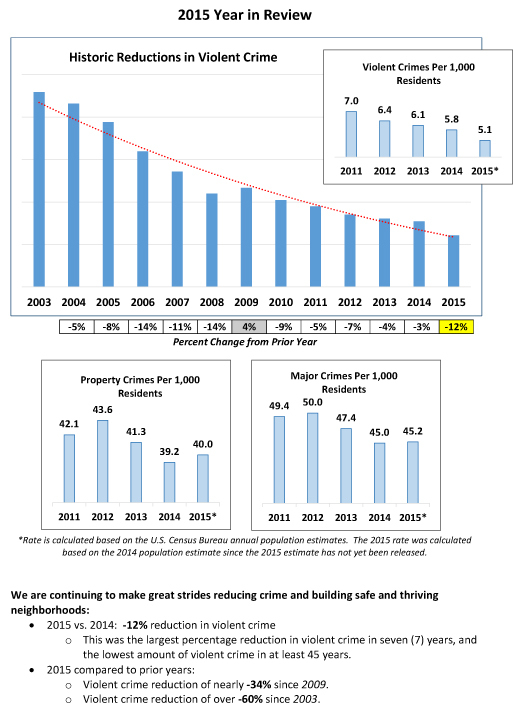 Overall crime was up by one percent in 2015, but tremendous strides were made in several areas, most notable was the large reduction in violent crimes. In the past seven years, the rate of violent crimes in the City of Richmond has dropped 30%, with the largest year-to-year reduction of 12% occurring in 2015. The Department reported 39 homicides in 2015, a reduction of the 43 homicides in 2014. 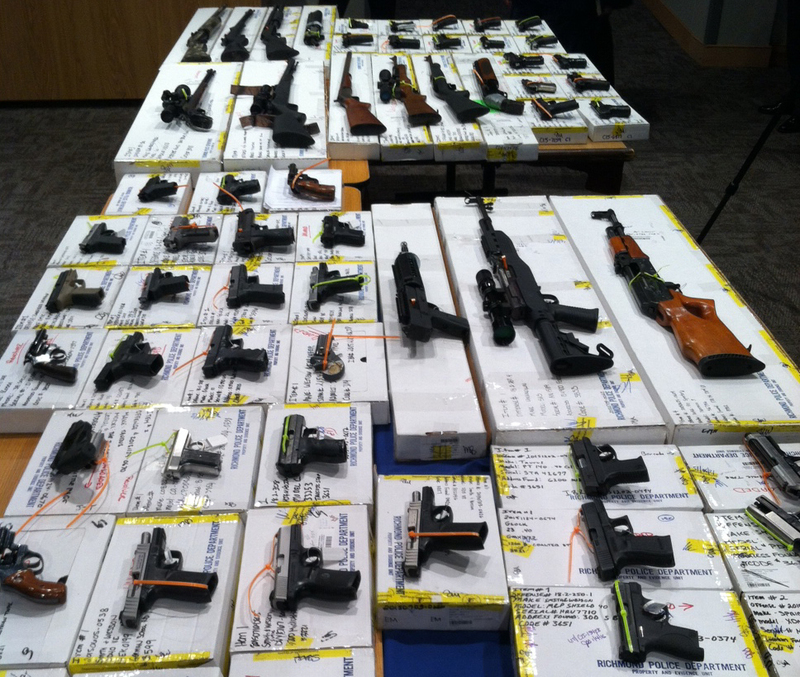 Of the 39 homicides recorded last year, 28 of those cases are now closed. Property crimes increased by two percent from 2014 to 2015, with theft from motor vehicles being the major factor. Mayor Jones and Chief Durham have created a public service announcement to encourage motorist to remove valuables from vehicles and to lock the doors of their vehicles. 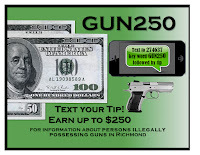 GUN250 is a new RPD program that gives anonymous tipsters up to $250 for information that leads to the seizure of illegally-held weapons. The program launches Feb. 1 and encourages the public to text to 274637 followed by the tip. 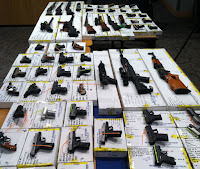 Business owners are encouraged to join RPD’s effort of removing illegal guns from Richmond streets by contributing to the GUN250 reward fund. 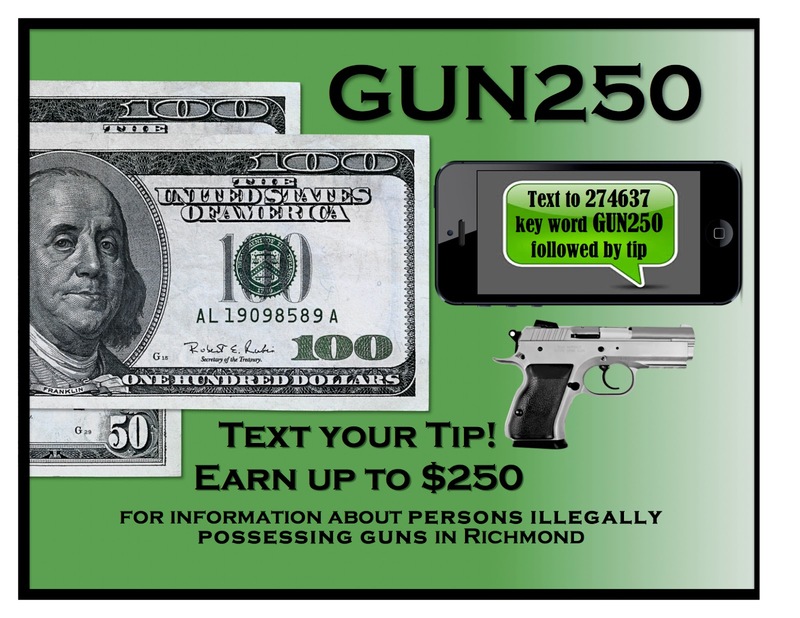 Businesses interested in joining the GUN250 program should contact William Friday at William.Friday@RichmondGov.com or at (804) 646-0722. On Jan. 14, Mayor Dwight C. Jones and Chief Alfred Durham cut the ribbon on the brand new, nearly 4,000 square foot, Richmond Police Canine Training and Community Complex. This new, state of the art, facility replaces a 1,000 square foot building that was more than 50 years old. The new complex was designed to be environmentally sensitive by using recycled materials, a energy efficient HVAC system, enhanced stormwater design, and skylights. "I want to take a moment to thank all of the men, women, and canines of the Richmond Police Department for the hard work they perform each and every day. Congratulations on this new facility and may it exceed our expectations of enhancing your already strong relationship with the Richmond Community," said Mayor Jones. SeeClickFix recently detailed a list of the 2015 Top 50 Fixer Cities in the nation and the City of Richmond ranked third for 2015. The ranking is due to the City fixing 28,841 issues of the 29,775 issues opened in 2015. The most requested service type was Trash/Bulk-ups with 16,123 opened issues, of which the City acknowledged 15,982 and closed 15,618. A detail of the 2015 SeeClickFix reported issues for Richmond, VA is available by clicking here. SeeClickFix is a major component of Mayor Dwight C. Jones’ Mayor’s Participation, Action, and Communications Team (MPACT) initiative. MPACT was launched in 2010 to provide a structured mechanism for the proactive, reciprocal exchange of information between residents and City administration. This exchange helped to build one of the largest neighborhood networks in the world — upon which public agencies and the public at-large engage to improve communities. Today, SeeClickFix has official partnerships with hundreds of cities, engaging hundreds of thousands of citizens in the resolution of millions of issues.